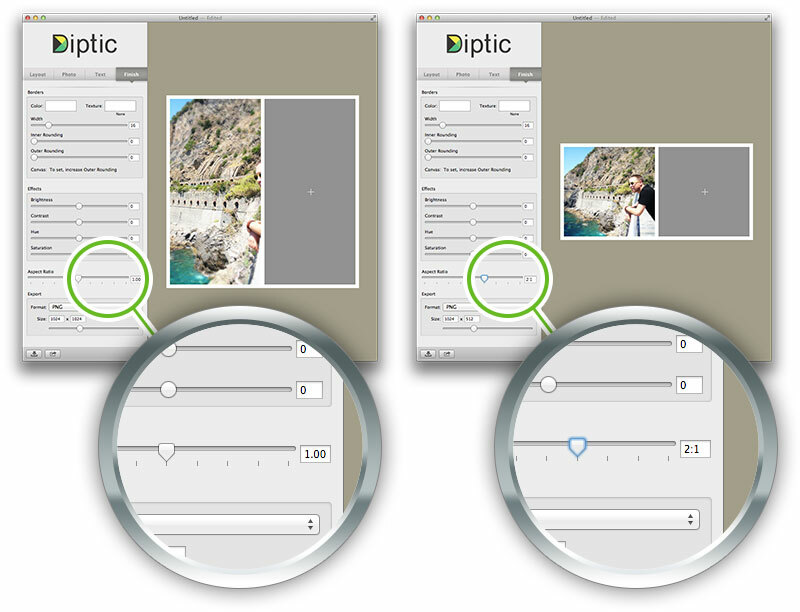 For application questions or any support issues, please contact us at support@dipticapp.com. You can also ping us with questions on Twitter @dipticapp. How do I export as a JPG or PNG file? How do I import photos? How do I import photos from iPhoto or Aperature? How do I create a customized layout size? What can I do with the Diptic once it’s created? Can I print, export to Facebook, etc.? Is there a way to reduce the size of pictures in the frames? How do I move photos from one frame to another? How do I swap photos between frames? How do I copy a photo into a different frame? 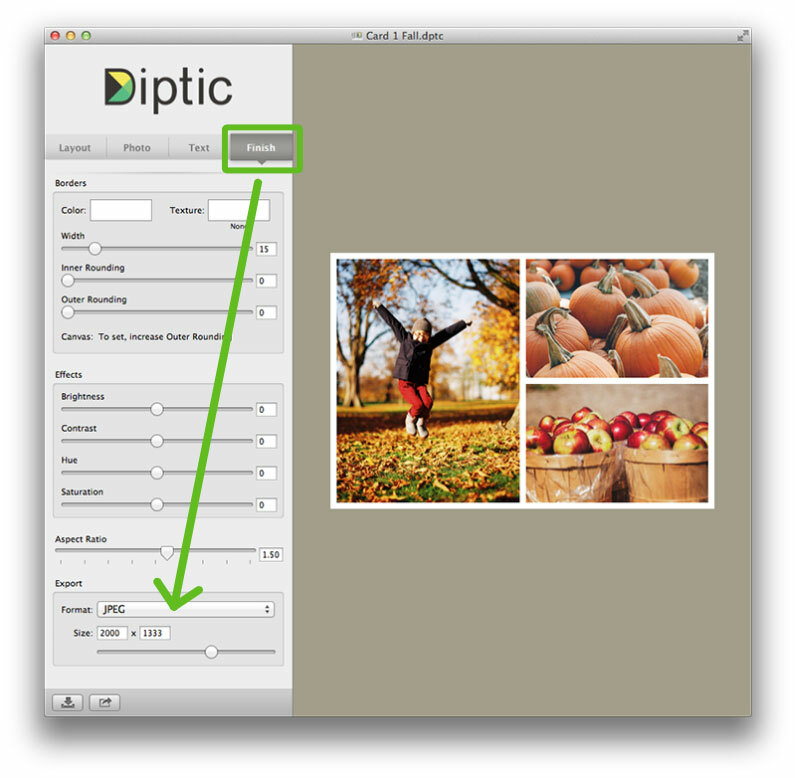 Can I run Diptic for Mac with Mac OS X 10.6.8? 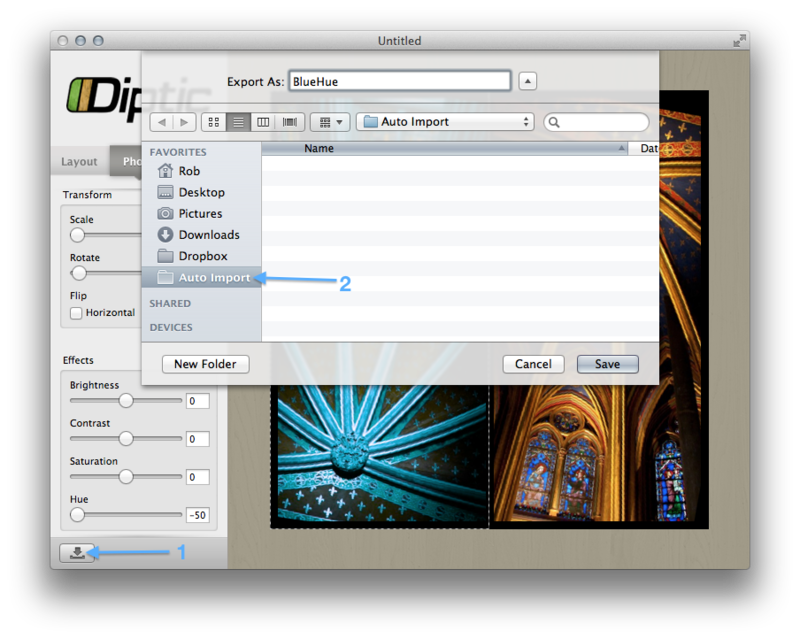 How do I export Diptics to iPhoto? Your Export options are at the bottom of the Finish sidebar. PNG is the default export option. If you’d like to export as JPG, tap on this menu to change it to JPG. There are two simple ways to import photos. 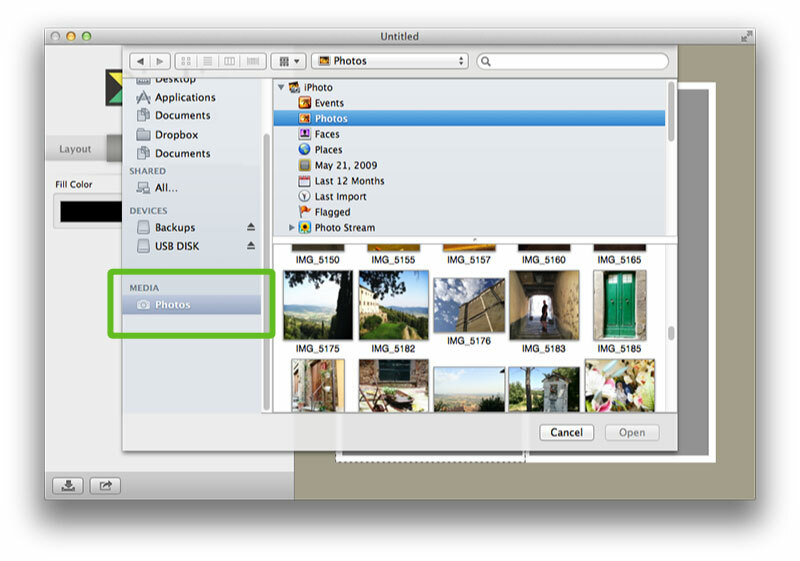 First, you can drag and drop photos saved on your computer or from online into the desired frames. Or, you can double click a frame to display the Open File dialog, and the Media Browser can be found at the bottom of this side bar. 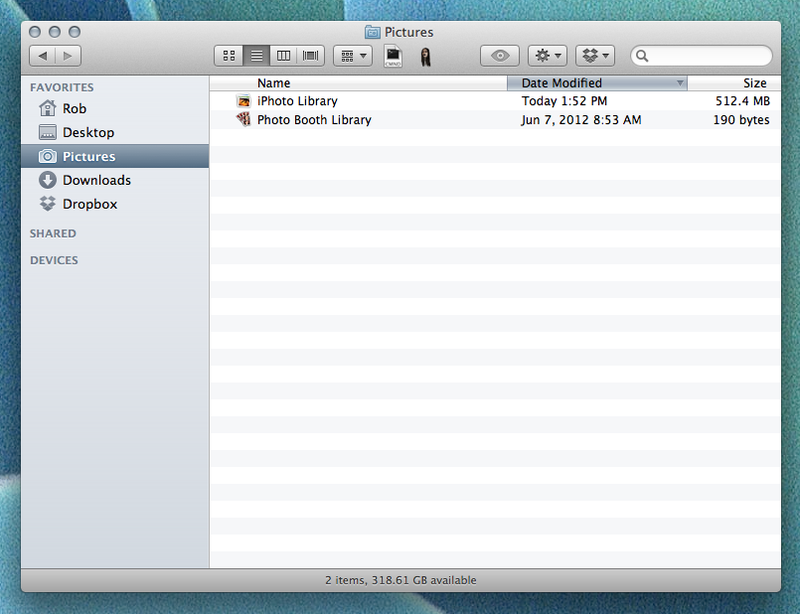 Click on photos and you will see your photos stored in iPhoto, Aperture, Facebook, etc. Go to the Finish screen and scroll to the export size options. Enter the largest dimension size (for example: if your desired output was 200x300, you would enter 300 in the right box) in the proper box (left is width and right is height). Then, use the Aspect Ratio slider to achieve the desired dimensions. Moving it to the left will create tall and skinny Diptics, and moving it to the right will create short and wide (landscape) Diptics. You can also manually type the desired ratio in the box to the right of the Aspect Ratio slider. The collages are exported in standard image formats (PNG or JPG), so they are printable. You can also use it on your computer in whatever fashion you'd like and then share with your preferred sharing service. The privacy and security for services built in Diptic is standard and we use the service's provided authentication endpoints to make any request to authenticate. We currently do not allow for scaling smaller than fitting the longest edge of the photo to the frame. We do this to help prevent white/blank space in the composition. The Diptic on the right may look smaller, but when you export it will be the same height as the one on the left, but twice as wide. Press command while using your mouse to drag a photo into a different frame. Press command while using your mouse to drag a photo into a different frame. If there is a photo in the existing frame, it will swap the destination photo with the source photo. Press option while using your mouse to copy a photo into a different frame. 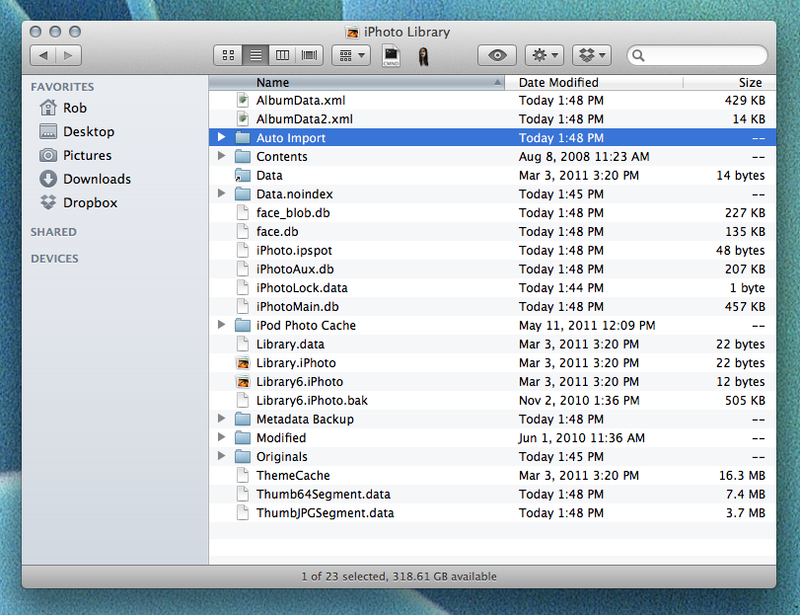 Diptic requires OS X 10.7 (Lion) or above. OS X 10.9 (Mavericks) is now is out, and you can upgrade for FREE from Apple's Mac App Store. 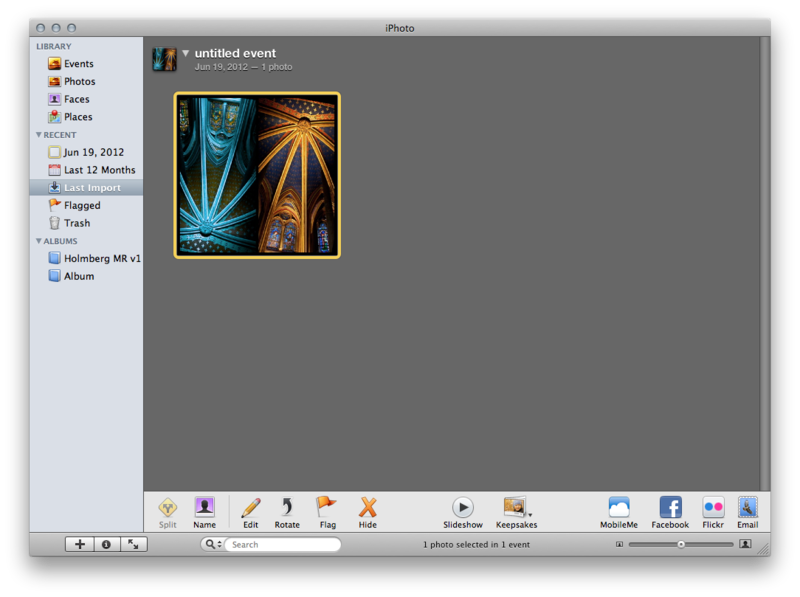 One frequently requested feature of Diptic for Mac is the ability to send photos to iPhoto. We love iPhoto (and Aperture) and agree it would be nice to have the ability to send creations straight from Diptic. There is a super awesome feature of iPhoto that can help accomplish this functionality for Diptic, and also for any other application or source of images you have. It is a special folder that exists inside your iPhoto library. 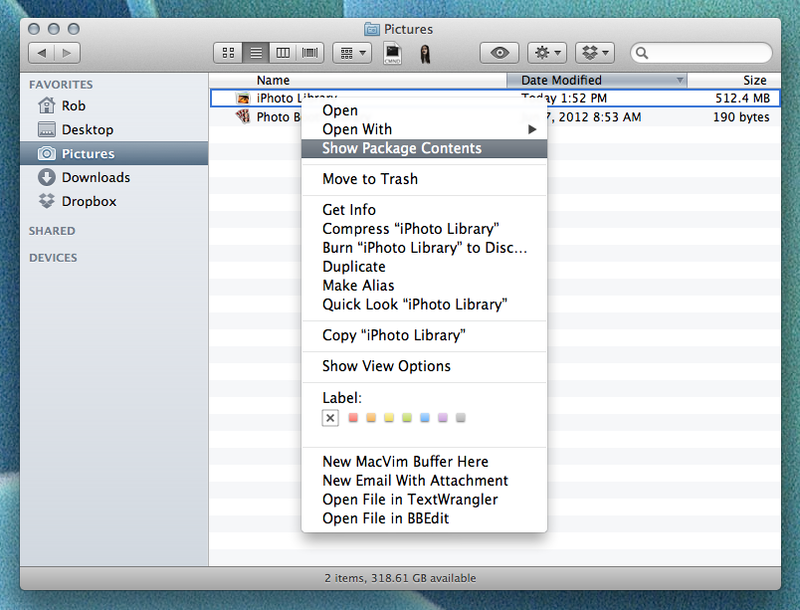 Below are the steps to set up this folder for easy access and how to export Diptics straight to iPhoto. 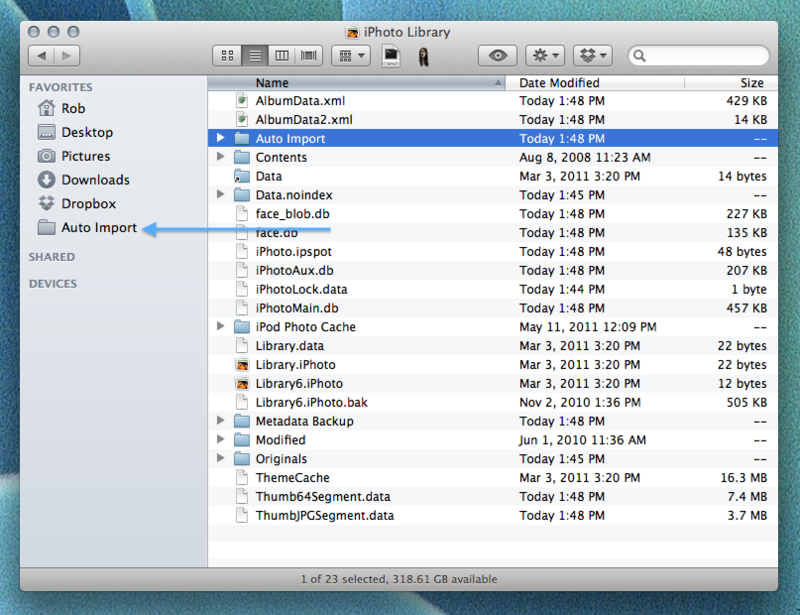 Right-Click your iPhoto Library to "Show Package Contents"